Public Art has been an important part of American public spaces since the 1960s when the National Endowment for the Arts established their first public art program in America’s public spaces. During this inception, public art was a new concept in a time when art was largely relegated to the confines of the museum. The Civil Rights Movement changed the perception of public spaces in America, giving more autonomy to the people to determine how the public space should be used. This was because the public voiced their opinions on art through the movement and public spaces became more democratic, offering public art to the general public. The notion of public sculptures enhancing the public space started to capture people’s attention as they drew meanings from the contents of the space around them. As public art became more prominent in America’s public spaces, the New York City based Public Art Fund (1997) attracted contemporary artists and visitors to determine how the space should be defined. One of the biggest influences of public art was the effect it had on the general public, who for the first time felt power to exercise over their surroundings and city spaces. This change also led to some controversy over who had the right to design public space, the public or art professionals? Increasingly, the people of the city, who live, work and commute daily in the space and have to endure the art around them, felt they had a right to express opinions about what was made in their name. There are a few examples which created this spur in public art in America and greatly transformed the way public spaces were used globally. The first artwork is Tilted Arc (see image below) which was the first of its kind to have immense impact on the geographical surrounding of the sculpture. Tilted Arc was a site specific post minimalist sculpture designed by a famous artist, Richard Serra, commissioned by United States General Services Administration for their Arts in Architecture program. It was designed to be erected in the Federal Plaza in Manhattan, New York City. The sculpture was a steel arc which was 120 feet long and around 12 feet high. It was designed, according to Serra, to give the viewer a special significance of the space and to appreciate the changes the public feels when walking around the site-specific sculpture. 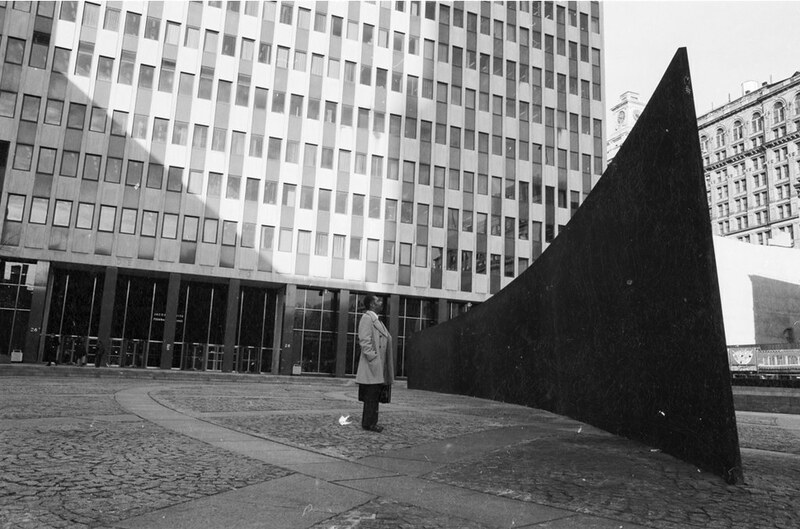 Yet, despite Serra’s lofty intentions, the public did not much appreciate the sculpture. People passing through the steel arc said it was too gaudy and distracted them from the view of other buildings. Residents and businesses around the location signed a petition against the sculpture in order for it to be removed. Richard Serra was deeply offended by the comments of the public, leading to a big controversial trial, where despite the views of the artist, the pubic prevailed. Eventually, the sculpture was removed, giving the space a different meaning. People thought the images the artist had created stereotyped people of the Bronx in racially offensive ways, particularly to the African American community (Finkelpearl, 2000). The public space had three realistic life size sculptures (see image below) of people who were known to the artist. The sculpture represented a young man wearing a hood with his dog, a boy with rollerblades and finally a man with a basketball having a foot on the radio. Although Ahearn thought these figures were based on real people he had met and represented the local community, the public thought otherwise. This indicates that the public and the artist need to have similar perceptions for the artwork to be accepted by the community. These two controversies, and the notion that people should have some power over the space in which they interact, alarmed many artists. One way to deal with this dilemma has been a shift towards temporary installations of sculptures. In New York City alone, Public Art Fund has commissioned more than four hundred exhibitions and on site projects throughout the years. Some of these artworks include Please Touch the Art in Brooklyn Bridge Park by Jeppe Hein in 2016, which was a successful interactive public art installation supported by New York’s Public Art Fund. The name of the artwork, Please Touch the Art, suggests that the art needs to be touched and experimented with as people walk past the artworks. 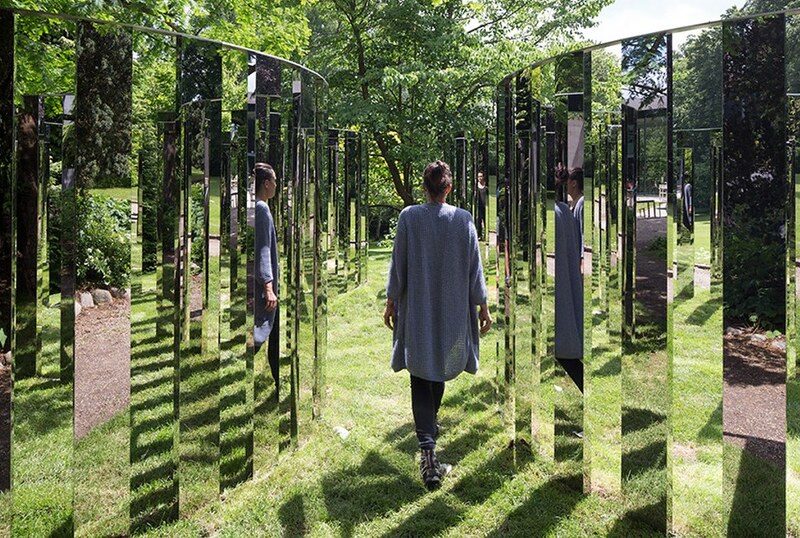 This feature included fountains, mirror installations and interactive seating. Such interactive public art has grown as a way to bring people together while enhancing the city’s public spaces. Another project, Anish Kapoor’s art of Sky Mirror (or Cloud Gate) in Chicago has had a tremendous impact on public spaces. This improves how the public space is used, but also conveys significance to the public space itself. 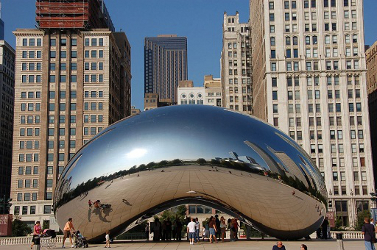 Anish Kapoor's Cloud Gate in Chicago's Millenium Park has gained enormous popularity as people look into the concave sculpture to interact with the art. It has provided Millennium Park a sense of place, enabling residents and tourists to visit regularly. The art has also become a tourist spot and can be found in many travel books as a destination to visit. The Crown Fountain in Millennium Park is another successful public art in America. The Crown Fountain complements Cloud Gate as they are located in close proximity and allows people to enjoy both the public artworks. The artworks provide respite and relaxation from everyday stresses as it allows for playful interactions. It also contributes to bringing the community together by enabling communication with others surrounding the artwork. Sculptures like this, which create interaction with public art, are a growing trend in today’s American public spaces. 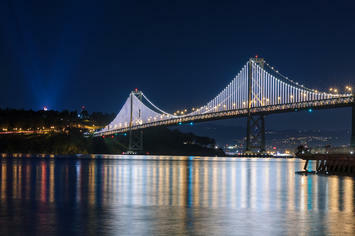 In San Francisco, California LED lighting used on the Bay Lights created an upsurge of public visiting the bridge to interact with the lights. 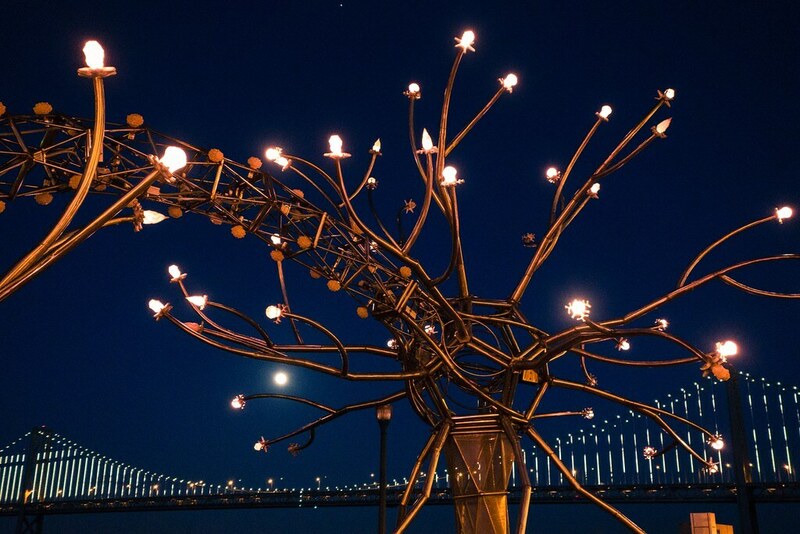 The Bay Lights created vibrancy in the city as more people noticed the lights and interacted through many mediums as the lights represent brian neurons. Cupid’s Span Sculpture has also gained attention in San Francisco as “it is now seen as an integral part of the Embarcadero skyline (Garnett, 2017)” Cupid Span’s shape, colour and lighting has attracted visitors to the public space. These types of artworks are becoming popular and contributes to bringing people together in America’s public spaces. As we consider our future cities, public art should not be overlooked. Compared to public art installations in the 20th century, there has been tremendous growth and change in 21st century in New York City’s public art scene. People are more involved in New York City’s public art decisions due to the interactive and engaging nature of the installations. With the accelerated pace public art is being commissioned in America the future of public art could be promising indeed. Thejas Jagannath has recently completed her Master of Planning in University of Otago. 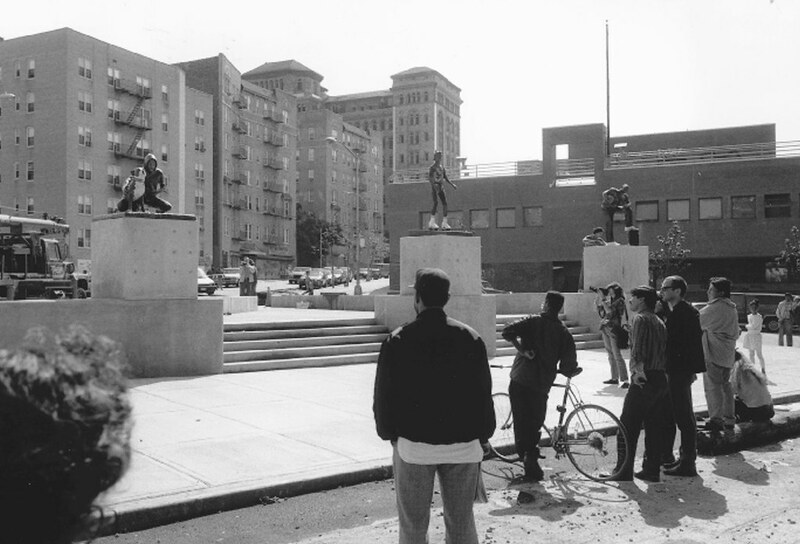 Her Master’s thesis was on the influence of public art on public space. She has written on various blogs including Medium, Parksify and Urban Times. She was the Managing Editor of Urban Times. As an urbanist, she enjoys writing, visiting museums and exploring cities. You can follow her on the Twitter Handle @thejas009. Top photo: Eric Kilby, via Flickr, using CC License.